This painting was accepted into the 33rd La Cloche 2010 juried exhibition. Original Sold. approx. 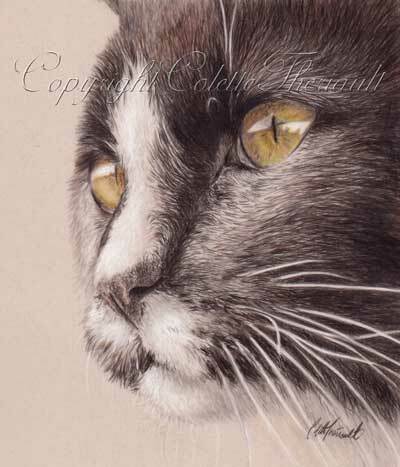 size: 5" x 6"
This detailed close up of a cat's intense gaze was done using colored pencils on drafting film.